AMERICAN HISTORY 101 « THE BRYCE IS RIGHT! While visiting with some high school teacher friends, I asked how American History was being taught today. I always had a fondness for history, even if the teacher was boring. I particularly enjoyed learning about the American Civil War, and the events leading up to it. I saw it as an epoch event which defined the American character. The aftermath of the Civil War was also interesting including carpetbagging and the corruption of the Grant administration. Most of what I learned came from History and Social Studies classes I took from elementary school to high school. I didn’t take any formal history classes in college, but learned a lot through the other courses I took. To accent the meaning of a subject, the professors often found it necessary to describe its historical roots. I was dismayed to learn American History was being taught superficially. Remarkably, it was taught starting from World War II and progressing to today. It was also my understanding the high school history teacher made extensive use of DVD video clips as opposed to lectures which I found rather odd. Videos provide excellent stimuli, but their tightly worded scripts do not always provide the rationalization for an event. – The contributions of Alexander Graham Bell, Thomas Edison, Guglielmo Marconi, Henry Ford, Andrew Carnegie, John D. Rockefeller, et al. – The rise of Joseph Pulitzer and William Randolph Hearst. – The works of Herman Melville, Mark Twain, Emily Dickinson, Henry David Thoreau, Walt Whitman, etc. – Jefferson’s Democrat-Republicans vs. Hamilton’s Federalists. I guess these subjects are meaningless and carry no lessons of merit. Without such background, I seriously doubt students have an understanding of how our country was formed, struggled through hardships, and evolved. Without such knowledge, I do not believe students have a true appreciation for what our country is, our identity, why it must be defended, and will likely repeat the same mistakes. I realize math, science, and languages are important, but American history is vital for good government and citizenship. Beyond this, I was stunned to learn “World History” was taught only beginning from World War I which was mind-boggling to me. What about Ancient Egypt, Greece, Rome, China and Japan, The Inquisition, The Wars of the Roses, The Magna Carta, Marco Polo, Vasco da Gama, Ferdinand Magellan, Amerigo Vespucci, Christopher Columbus, Capt. James Cook, Galileo, Sir Isaac Newton, Napoleon Bonapart, Charles Darwin, Joan of Arc, Socrates, Confucius, etc.? I guess this also meant nothing and I wasted my time learning about it. And, No, Samuel Adams was not our second president. NEXT UP: PRESIDENTIAL CANDIDATES – How would our founding fathers in today’s electoral circus? LAST TIME: THE MILLENNIALS – Can they really save America? This entry was posted on July 3, 2013 at 6:00 am	and is filed under Education, History. Tagged: AMERICAN HISTORY 101, Florida, palm harbor, The Bryce is Right, tim bryce. You can follow any responses to this entry through the RSS 2.0 feed. You can leave a response, or trackback from your own site. We’re now turning out imbeciles,illiterates and totally unaware and uncaring technophobes. I hope I’m not around to see and live the total collapse of a once proud and GREAT nation that EVERYONE respected and admired. As you stated, not so any longer. “We are raising a generation who is not being taught anything but revisionist history. 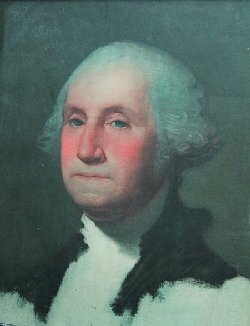 The truth of OUR Patriotic Founders is disguised and even disputed in many cases. To keep our freedoms and OUR Republic. I would go so far as to say that it is the unpatriotic who are presently running this country and do not desire this country to be a Republic. We are running toward being a Socialist state. This just has to stop. “They have been taught, are being taught, to accept rather than oppose. Even the parents of today’s school age children were subjected to the ‘new math’ and implementation of the liberal education agenda. They don’t know any better either, so how can they help their kids? When I worked in Pennsylvania, I took my daughter there many times. That State, and the City of Philadelphia is chocked full of history. She ate it up. It was a good thing because she refused to accept what they were trying to teach her in school. 1) What decade was WWII in? 2) What decade was the Civil War in? 3) Who were the combatants in the War of 1812? 4) Name the three branches of government. 5) What document governed the Unites States between the time of the Declaration of Independence and the Constitution? I think there were ten questions in all. It was astonishing how many supposedly educated people couldn’t answer some of these basic questions about our history. And people were often spectacularly wrong. I’d like to repeat my experiment and record some of the answers, but I work with almost all foreign nationals now, so it wouldn’t be a fair measure.